Boris Akunin is the pseudonym of Grigory Chkhartishvili. He has been compared to Gogol, Tolstoy and Arthur Conan Doyle, and his Erast Fandorin books have sold over eighteen million copies in Russia alone. He lives in Moscow. Akunin is also co-founder of the non-political League of Voters campaign group. As he showed in The People’s Act of Love and We Are Now Beginning Our Descent, Meek can both create original characters and dramatize the spirit of the day. His latest novel centers on Richie, an aging media star who’s told more than a few lies in his time, and his sister Bec, who’s trying to cure malaria. She’s courted by several men, and the story spirals outward to themes of marriage, mortality, and the limits of science. From James Meek, the award-winning author of the international bestseller The People’s Act of Love, comes a rich and intricate novel about everything that matters to us now: children, celebrity, secrets and shame, the quest for youth, loyalty and betrayal, falls from grace, acts of terror, and the wonderful, terrible inescapability of family. Ritchie Shepherd, an aging pop star and a producer of a reality show for teen talent, is starting to trip over his own lies. Maybe filming a documentary about his father, Captain Shepherd, a British soldier executed by Northern Irish guerrillas, will redeem him. His sister, Bec, is getting closer and closer to a vaccine for malaria. When she’s not in Tanzania harvesting field samples, she’s peering through a microscope at her own blood to chart the risky treatment she’s testing on herself. She’s as addicted to honesty as Ritchie is to trickery. Val Oatman is the editor of a powerful tabloid newspaper. The self-appointed conscience of the nation, scourge of hypocrites and cheats, he believes he will marry beautiful Bec. Alex Comrie, a gene therapist (and formerly the drummer in Ritchie’s band), is battling his mortally ill uncle, a brilliant and domineering scientist, over whether Alex might actually have discovered a cure for aging. Alex, too, believes he will marry Bec. Colum O’Donabháin has just been released from prison, having served a twenty-five-year sentence for putting a gun to Captain Shepherd’s head when he refused to give up an informer. He now writes poetry. James Meek is an award-winning writer whose novels include The People’s Act of Love and We Are Now Beginning Our Descent. He lives in London. 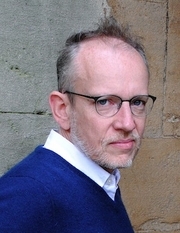 James Meek is currently considered a "single author." If one or more works are by a distinct, homonymous authors, go ahead and split the author. James Meek is composed of 1 name.